So instead of just having the man that played secret agent Ethan Hunt taking on the part of secret agent Napoleon Solo, we'll have Kal-El play him? That sounds interesting. Word is the buzz surrounding "Man of Steel" is so positive among the Bunny Suits that Warner feels Henry Cavill can lead another iconic franchise. So if this rings true then Cavil will be Solo to Armie Hammer's Russian spy Illya Kuryakin. That will be a comely duo for Guy Ritchie to have some fun with. 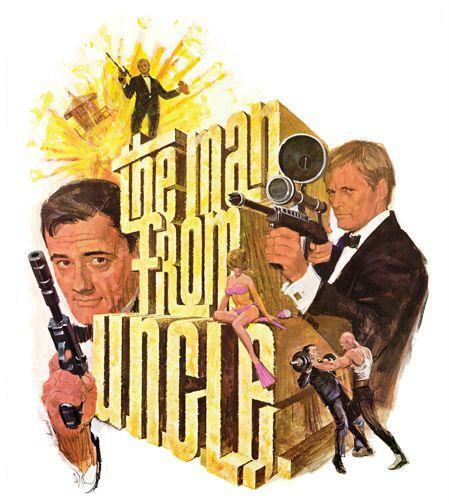 Will "The Man From U.N.C.L.E." be a present day adventure, or a period-centric 60's spy pic? Labels: 2014, Adaptation, Armie Hammer, Guy Richie, Henry Cavill, Remakes, Television, The Man From Uncle, Warner Bros.
Cavill had made it no secret, he'd like to play James Bond. I guess Man From Uncle will keep his name out in front of the public and get him ready for the Bond role once Daniel Craig turns in his Walther PPK.